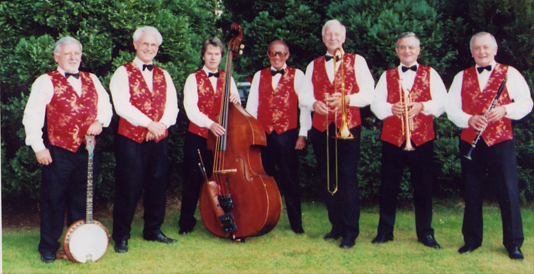 The Phoenix Jazz Band were formed by clarinettist Robin Coombs as a six-piece group. 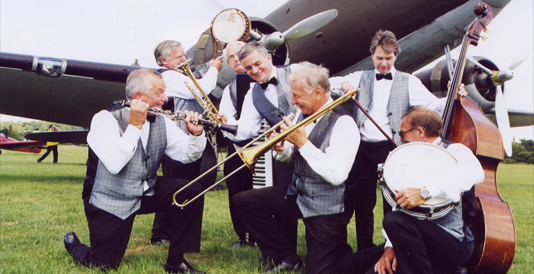 The Phoenix Jazz Band were formed by clarinettist Robin Coombs as a six-piece group. In 1994 they added a pianist, which allowed the band to extend its repertoire and widen its appeal. Very few changes have taken place since, and the original three "front liners" on clarinet, trumpet and trombone are still playing together. Their repertoire consists of well known pieces by great popular music composers of the 1920s up to the middle of the last century - Duke Ellington, WC Handy, Hoagy Carmichael, Jelly Roll Morton and Louis Armstrong, to name but a few. The Phoenix Jazz Band has played at many prestigious venues and for all kinds of functions, sometimes playing concerts at 1000-seat halls. They also perform aboard some of the world's best cruise lines.